Back when I was first getting started in writing, I took over the editor role at my college newspaper. I was excited: who wouldn’t relish the thought of shaping and re-imagining an entire publication, giving advice to young writers? The previous editor had basically made a mess of things, so I had a pretty low bar to jump over. I quickly learned that new writers joining the staff could be categorized into two types: People who genuinely wanted to become writers, and those who joined because they thought writing or being a writer sounded cool, or that it was an easy A. The latter category typically failed the class associated with the newspaper’s production. It often came as a shock to them, when they hadn’t turned in a story the entire semester, that they earned an F.
I always wondered why this was. Surely they would have expected a failing grade if they didn’t turn in any math homework or taken any tests. Why did they assume they could do nothing in a writing class? I think a lot of people don’t realize how much work and discipline writing actually takes, whether it’s writing an ebook or writing for newspapers. I’m often mentally exhausted at the end of a day working as a reporter. The exactitude required taxes my mental concentration, so I often have to spend time zoning out or doing something either physical or something that requires little to no mental effort. I find fiction takes that same requirement. Instead of gathering facts from the real world, I’m gathering facts from the universe I’ve imagined. But there are facts – once that world is established, it requires accuracy and attention to detail. I have to both choose a reality and then stick to the facts within that reality. At least in journalism, I have one truth to stick to. In fiction, I have to stick to the truth that I’ve established. There isn’t anyone else I can ask for the back story. I have to find it in my head or re-read to find what I said earlier. And don’t even let me get started on the concentration of editing. I can’t imagine how editors complete entire days editing. I can handle maybe an hour. What surprised me was that a few people said I was advocating laziness, that you wouldn’t succeed without a sincere effort. But let’s be clear: 80 percent is still a pretty strong effort. It’s still discipline. The point I was making, is that each writer has to figure out how to fit that discipline into her own life. For some people, that means writing every day. For others, once per week. For myself, I typically work on my fiction 3-4 times per week. Sometimes less, but that means I make sure to stick to that. I might miss a day or two, but I try not to let my writing output drop below that. 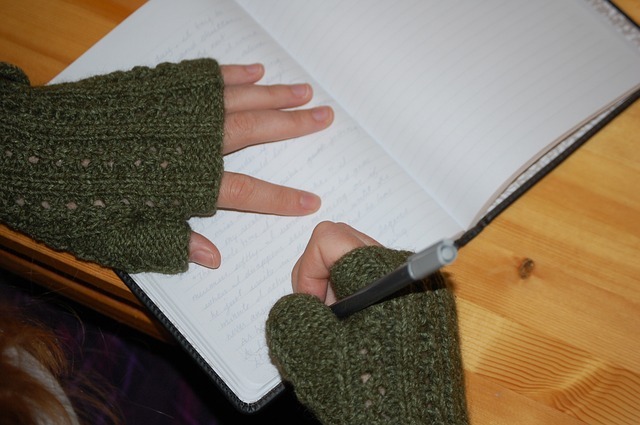 Will I make as much progress as someone writing every day? Of course not. But I do make progress. And I’m working at a rate that I won’t quit. But it also means I still have to be disciplined. That means forcing myself to sit down and get to work. It means telling myself to get started on days in which I might not feel like it. 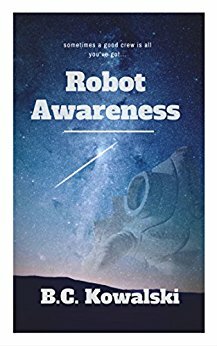 My novel, Robot Awareness, Part I is out, and Part II is being edited and will be complete by fall. So I’d say it’s working. But make no mistake: It still requires discipline.